When issues of personal vice come onto the American political scene, they persistently stay on the agenda. What are the odds that an issue like drug usage could suddenly lurch onto the national agenda under President Donald Trump’s administration? The ingredients and political dynamics are currently present for drug policy to become a big issue in the United States. 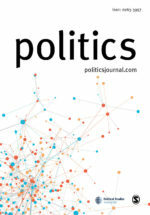 In our recently published article (‘Patterns in the politics of drugs and tobacco: The Supreme Court and issue attention by policymakers and the press’, Politics, 32:2, 214-231), we analyze the vice issues of drug and tobacco usage from 1981-2010. We find that when the White House, Congress, or the national media spends considerable time and action on the issue of drugs, the attention issue persists in subsequent months. Further, if one of these political leaders devotes attention to drugs, then the other two actors react by increasing attention to drug policy. Hence, whenever the drug issue comes onto the agenda, it tends to stay as the press covers the proposals raised by politicians and elected officials in turn take media coverage as a prompt to take action. Beyond the contagious nature of the drug issue for elected officials and the media, the Supreme Court also can be an important first mover that puts drug policy onto the national agenda. For example, in the March 1989 case of National Treasury Employees’ Union v. Von Raab, the Supreme Court upheld a drug testing program that the federal government required of Customs Service employees. There was an immediate major rise in attention to drug policy by President George H.W. Bush and by the national press, which in turn had a contagious effect on Congress. A single Supreme Court decision can set the wheels in motion for substantial attention to drug policy. The stage may be set for the issue to make a return. Right now nine of the fifty states allow medical marijuana, but possession of marijuana is still a violation of federal law. The Obama Administration preferred to take a hands-off approach on this issue, allowing states to effectively choose their own policy on the issue. However, that may change under the Trump Administration. The Attorney General, Jeff Sessions, has publicly expressed his opposition to marijuana use in the past leaving many to wonder if his nomination signifies a potential shift in executive branch policy. In the event that the White House does take a new turn on drug policy, Congress and the media likely will begin investing more attention to the issue as well. Yet even if Attorney General Sessions does not initiate new action on his own, the issue may be forced on him by the judiciary. The Supreme Court declined to hear a case in which Nebraska and Oklahoma attempted to sue to have Colorado’s medical marijuana law overturned. Their reasoning was that Colorado’s law had negative spillover effects into these bordering states. The Obama Administration urged the Supreme Court not to hear the lawsuit, but given the standing legal issue of whether the federal law is to be enforced, the next case may in fact get its day in Court. In that event, the media, the Trump Administration, and Congress can all be expected to place a renewed emphasis on drug policy. Brian joined Glasgow’s Q-Step Centre in January 2015 as Lecturer in Quantitative Social Sciences. He received his Ph.D. in Political Science from the University of North Carolina – Chapel Hill in 2005. Before moving to Glasgow, he was Associate Professor and Director of Undergraduate Studies in the Department of Political Science at the University of Missouri – St. Louis. 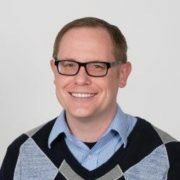 Brian’s research focuses on studying the news media as a strategic actor in politics and as a political institution within the American political system. 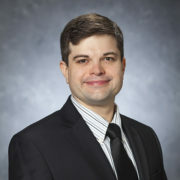 His work has been published in such journals as Legislative Studies Quarterly, Political Communication, Journal of Theoretical Politics, and American Politics Research. His current projects focus on media coverage of voter fraud and social protests. Jamie Monogan is an associate professor in the Department of Political Science, which is part of the School of Public and International Affairs at the University of Georgia. He earned his Ph.D. from the University of North Carolina at Chapel Hill. His primary research interests are in political methodology and American politics. In political methodology, much of his current research focuses on the analysis of geographically referenced and time-dependent data. In American politics, he studies state politics and policy, representation, public opinion, and elections.